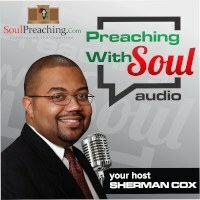 / Are You a Preacher or Motivational Speaker? 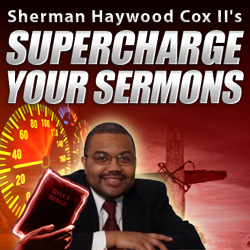 Are You a Preacher or Motivational Speaker? It is almost rampant in some circles. In fact some see this as the epitome of “relevant” preaching. The person comes and learns a skill or a mindset that will help them finally break the boundaries that keep them from that promotion. Maybe others finally decide to go back to school or change their career. Perhaps others find ways to become better planners and thus are more effective in their financial life. And then the preacher sits down. Sometimes the people shout other times they sit there contemplating the message, but in too many cases what is missing greatly outweighs the benefits of these messages. The first thing that is missing from this kind of preaching is the cross. Sometimes the preacher may tack it on at the end, but even in those cases the cross is reduced from the pinnacle of God’s work on behalf of humanity to simply a mechanism to help me do better at work. The cross both Jesus’ and ours is totally missing. The idea of our sin causing the death of Christ in some way is totally absent from this message. The idea that we are to take up our cross and follow is also absent. In many of these sermons, the idea of God’s coming kingdom is totally missing. Whether it be how we are to prepare for the coming kingdom, or whether it be how the coming kingdom is different from the current “kingdoms,” this aspect of true preaching is often missing from the “motivational preaching” sermons. If you are not preaching the cross and the coming kingdom, then one must ask onesself, what are the eternal consequences of my present preaching? If someone comes to your church after hearing about the cancer diagnoses, what does your sermon about being a success have to do with that one? If someone is in the midst of despair and needs to hear a word about the coming kingdom where righteousness reigns, what does your message that mistakes American middle class values for the Gospel have to say to them? People can get motivational speeches in any number of places, but when they come to church they have come to hear a preacher. There is a time and place for the motivational speech, but if you as a preacher use up all of your time being simply another place, then you have not done your duty. For a preacher to degenerate into a facsimile of Oprah Winfrey or Tony Robins is to step down from the height of speaking God’s words to humanity, to speaking good advice gleaned from the best human thinkers.